VietNamNet Bridge – Luong Manh Hai, 39, of Tri Lanh village in Ha Nam province discovered 50 kg while digging a foundation for a water tank. Hai said on May 22 he and workers found a terracotta jar at a depth of 80cm. The jar contained thousands of ancient coins, weighing up to over 50kg. 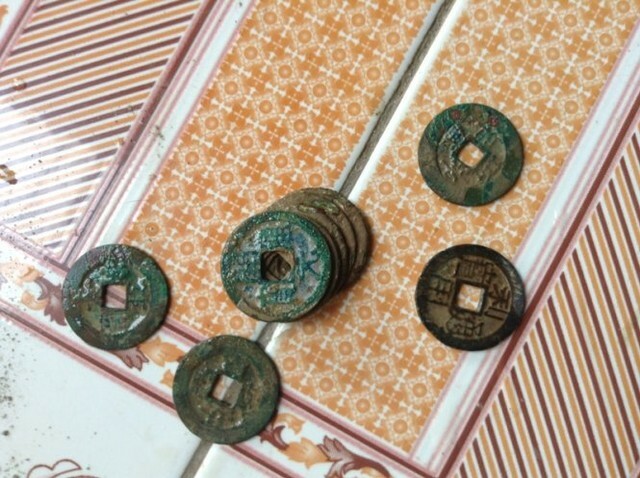 Most of the coins are round, with square holes in the center, 2.4cm in diameter, 0.1 cm thick, with Chinese script on one side. 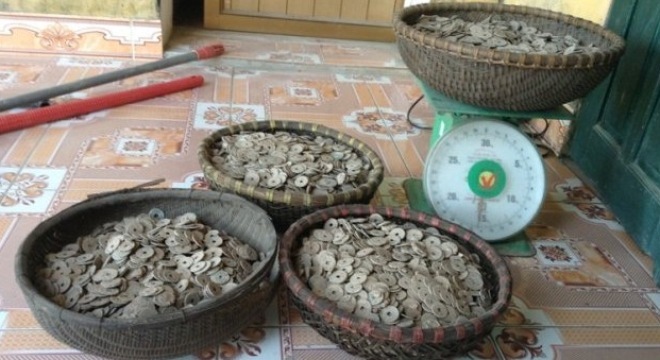 Some scrap collectors wanted to buy the coins, but Hai refused, pending verification of the exact date of the coins.